God loves you and created you to know Him personally. He has a plan for your life. 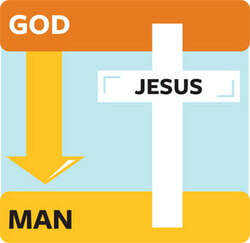 This diagram illustrates that God is holy and people are sinful. A great gulf separates us. 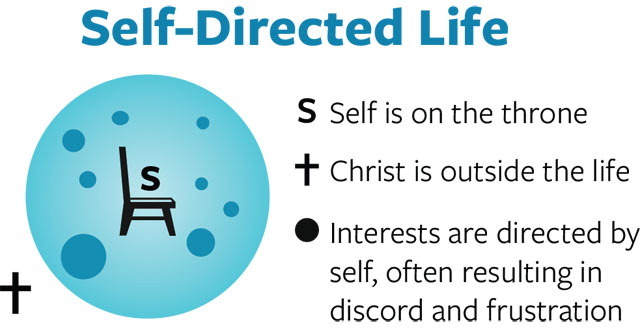 The arrows illustrate that we are continually trying to reach God and the abundant life through our own efforts, such as a good life, philosophy, or religion -- but we inevitably fail. "God demonstrates His own love toward us, in that while we were yet sinners, Christ died for us."